At Tantra Power Yoga Community Means Everything. We thrive in a mountain town by creating an INCLUSIVE environment offering a holistic approach to living with Hot and Not-Hot Yoga classes suitable for ALL LEVELS, Meditation Classes, Workshops, and a full range of Yoga Teacher Trainings, Intensives and Retreats. 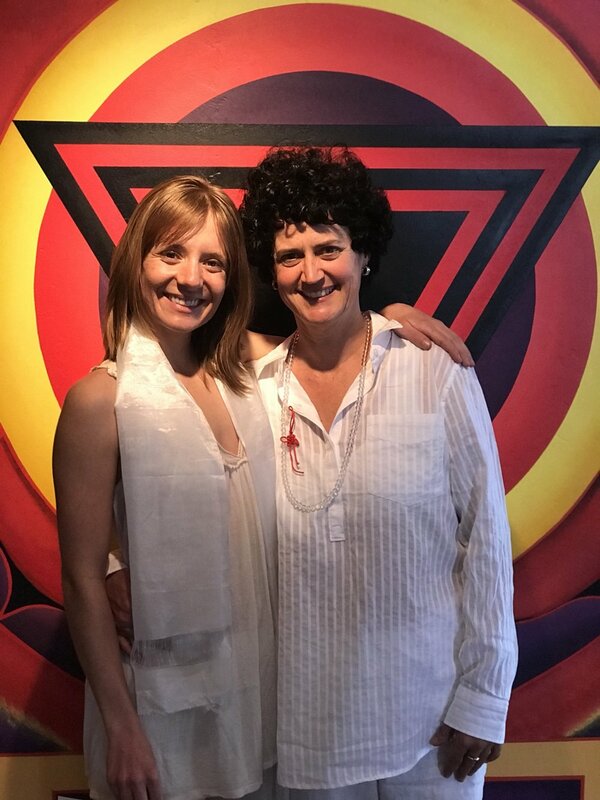 This vibrant, community-oriented studio was created by Jodie K Lea to offer the benefits of Tantra: a complete system of yoga technology to empower Mind, Body and Spirit. COME JOIN US and FIND OUT WHY we are Ranked among the Top 10 Best Yoga Studios in Idaho by Best Things Idaho.com. Grounded in the natural state. Thanks to a winter of spiritual practice, meditation and study. I graduated from Tantra Power Yoga 300 hr training in February, 2018 and it took me to the next level. I now am able to balance my mind in the natural state and practice single pointed concentration. In this course my personal Yoga practice went to the next level which made me a better teacher and brighter light. I cultivated emotional stability and learned multiple tools for meditation. I wish everyone in the world got to experience a course like this. Looking to become a certified Yoga Instructor or deepen your practice? Join us at Tantra Power Yoga Academy for an Immersion or Teacher Training Program. Take your practice deeper by joining us for a retreat in Guatemala or in the forests of beautiful Idaho. Where do I begin? My journey with Tantra Power Yoga started a little over a year ago. The winter before last I hit a low spot in my life. I felt lost. Lost in my job, lost in my purpose, lost in my partnership, and worst of all lost in myself. I found solace in the simplest thing I knew; yoga. Simplest is a a tricky world here; some aspects of Yoga can be incredibly difficult. However, the basic principles are simple, fairly consistent throughout history, and the simplest form of comfort I know. No matter what my day held, I knew I could leave it all on my mat at the end of the night. I would get up early and start my day with the rising sun, a cup of coffee stronger than anything I would face that day (fingers crossed) and some meditative breath work to ease my mind. That Spring, the teacher training program came up and (thanks to my ever supportive mom, and the ever amazing Kasey Rose) I signed up. It started as something to do as a new career goal, teach yoga. Helping me feel like I had a better purpose again. The months that followed, spending time with the amazing women I trained with as well as the wonderful teachers, opened so many new doors for me. In the end, I have not used my training to teach yet, but feel like I gained more that I could have ever imagined for myself and my well being. I quickly shed a job that always kept me guessing and did not appreciate me for one that allowed growth, still morning solitude, and the ability to work alongside happy peers. I created a steady hold for myself as a person, rooted through my sacral chakra, stacked tall with intention to sway in the winds of change without breaking. I learned new tools to use in my relationship and together, with my partner, we laid a new stronger foundation, one we continue to build upon. I even freed the motivation to pack up from the stagnation I was living in and take roots somewhere new, blossoming with opportunity. Our Scholarship program funds individuals who apply and whom we feel are sincerely dedicated to learning and contributing to the community but are unable to pay full tuition. Scholarship recipients are required to give back a minimum of 20 hours of Free Community Yoga to underserved populations in the community after they complete the 200 Hour Yoga Certification program. We are currently growing our yoga center and these donations will go towards improvements, supplies, and furnishings in our yoga studio, juice bar, dormitory and/or community garden. A full accounting of where donations are spent will go to all donors.